by Roberto de Mattei; On February 11, the Feast of Our Lady of Lourdes, the Holy Father Benedict XVI announced to the Consistory of Cardinals and to the whole world his decision to resign from the papacy. The announcement was greeted by the cardinals “almost in disbelief”, “with a sense of bewilderment”, “like a bolt from the blue”, according to the remarks addressed to the Pope immediately afterward by Cardinal Angelo Sodano, Dean of the College of Cardinals. If the bewilderment of the cardinals was so great, one can imagine how intense the disorientation of the faithful is these days, especially those who have always regarded Benedict XVI as a reference point and now feel somehow “orphaned”, if not downright abandoned, in view of the serious difficulties that the Church faces at the present hour. 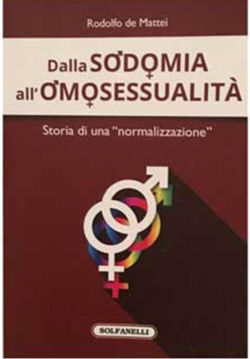 And in 2011-2012, when some journalists, like Giuliano Ferrara and Antonio Socci, had written about the possible resignation of the Pope, this idea had elicited among readers more disapproval than agreement. Moreover Articles 1 and 3 of the 1996 Apostolic Constitution Universi Dominicis Gregis, on the vacancy of the Holy See, foresee the possibility that the vacancy of the Apostolic See might be brought about not only by the death of the Pope, but also by his valid resignation. In history there are not very many documented episodes of abdication. The best known case is still that of St. Celestine V, the monk Pietro da Morrone, who was elected in Perugia on July 5, 1294, and crowned in L’Aquila the following month on August 29. After a pontificate of only five months, he thought it opportune to resign, considering himself not up to the office that he had taken. Therefore he prepared his abdication, first consulting the Cardinals and then issuing a constitution with which he reaffirmed the validity of the rules already established by Gregory X for conducting the next Conclave. On December 13 in Naples he pronounced his abdication in the presence of the College of Cardinals, relinquished the papal insignia and vestments, and resumed the habit of a hermit. On December 24, 1294, Benedetto Caetani was elected Pope in his stead, with the name of Boniface VIII. Another case of papal resignation – the last one to date – occurred during the course of the Council of Constance (1414-1418). Gregory XII (1406-1415), the legitimate Pope, in order to mend the Great Western Schism (1378-1417), sent to Constance his plenipotentiary Carlo Malatesta to make known his intention to retire from the papal office; on July 4, 1415, his resignation was officially accepted by the conciliar assembly, which at the same time deposed the antipope Benedict XIII. Gregory XII was reinstated in the Sacred College with the title of Cardinal Bishop of Porto and ranking first after the Pope. Having abandoned his papal name and garb and taken again the name of Cardinal Angelo Correr, he retired to the Marches as papal legate and died in Recanati on October 18, 1417. The possibility of resignation, therefore, is not scandalous per se: it is covered by canon law and has historically occurred over the centuries. It should be noted, however, that the Pope can resign, and sometimes has historically resigned from the Papacy, inasmuch as it is considered an “jurisdictional office of the Church” and is not indelibly linked to the person who occupies it. The apostolic hierarchy in fact exercises two powers that are mysteriously united in the same persons: the power of order [i.e., Holy Orders] and the power of jurisdiction (see, for example, St. Thomas Aquinas, Summa Theologiae, II-IIae, q. 39, a. 3, resp. ; III, q. 6, a. 2). Both powers are ordered to achieve the particular goals of the Church, but each with its own characteristics, which distinguish it profoundly from the other: the potestas ordinis is the power to distribute the means of divine grace and pertains to the administration of the sacraments and to the conduct of official worship; the potestas iurisdictionis is the power to govern the ecclesiastical institution and the individual faithful. The power of order is distinguished from the power of jurisdiction not only by a difference in nature and object, but also by the way in which it is conferred, inasmuch as this power is essentially given at consecration, that is, by means of a sacrament and through the impression of a sacred character. Possession of the potestas ordinis is absolutely indelible inasmuch as its degrees are not temporary offices, but rather imprint characters upon those who on whom it is conferred. According to the Code of Canon Law, once a baptized man becomes a deacon, priest or bishop, he is one forever and no human authority can erase this ontological condition. The power of jurisdiction, in contrast, is not indelible but rather temporary and revocable; its offices, for which physical persons are responsible, terminate with the cessation of the mandate. Another important feature of the power of order is its non-territoriality, since the degrees of the hierarchy of order [i.e., Holy Orders] are absolutely independent from any territorial limitation, at least as regards the validity of their exercise. The offices of the power of jurisdiction, on the contrary, are always limited in space, and the territory is always one of their constituent elements, except that of the Supreme Pontiff, who is not subject to any spatial limitation. In the Church the power of jurisdiction belongs jure divino, by divine right, to the Pope and to the bishops. The fullness of this power resides, however, only in the Pope who, as its foundation, supports the whole ecclesiastical edifice. In him is found all pastoral authority, and in the Church any other independent pastoral authority is inconceivable. Liberal theology supports in contrast, in the name of the Second Vatican Council, a reform of the Church, in a sacramental and charismatic sense, which pits the power of order against the power of jurisdiction, the church of charity against the church of law, the episcopal structure against the monarchical structure. The Pope, reduced to a primus inter pares [first among equals] within the college of bishops, would have only an ethical and prophetic function, a primacy of “honor” or “love”, but not of government or jurisdiction. From this perspective Hans Küng and others mentioned the idea of a pontificate “of limited duration” and no longer for life, as the form of government required by the swiftly changing modern world and with its endless new problems. “We cannot have an 80-year-old Pontiff who is no longer fully present from the physical and mental standpoint,” Küng said to the radio station Südwestrundfunk; the Swiss theologian sees the limitation of the papal mandate as a necessary step for the radical reform of the Church. The Pope would be reduced to the president of a board of directors, to a merely arbitrating figure, alongside an “open-ended” ecclesiastical structure, such as a permanent synod, with decision-making powers. However, if one maintains that the essence of papacy is found in the sacramental power of order and not in the supreme power of jurisdiction, then the Pope could never resign; if he did, he would lose by his resignation only the exercise of the supreme power, but not the power itself, which would be indelible, like the sacramental ordination from which springs. Anyone who admits the possibility of resignation must admit that the Pope derives his summa potestas [supreme authority] from the jurisdiction that he exercises and not from the sacrament that he receives. 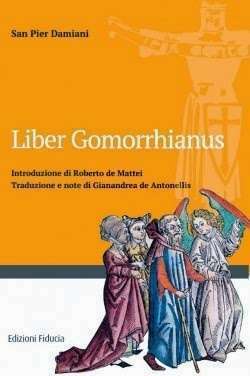 Liberal theology is therefore self-contradictory when it pretends that the Papacy is founded on its sacramental nature, and then claims that a Pope can resign, which however can be admitted only if his commission is based on the power of jurisdiction. For the same reason there cannot be, after the resignation of Benedict XVI, “two popes”, one in office and one “emeritus”, as some have said improperly. Benedict XVI will go back to being His Eminence Cardinal Ratzinger and will not be able to exercise the prerogatives, such as infallibility, that are intimately connected with the power of papal jurisdiction. The rule that bishops resign at age 75 from their dioceses is a recent phase in the history of the Church, which seems to contradict the words of St. Paul, in whose estimation the Shepherd is appointed “ad convivendum et ad commoriendum” (2 Cor 7:3), to live and to die alongside his flock. The vocation of a Pastor, like that of every baptized person, is in fact binding, not until a certain age or contingent on good health, but until death. Nevertheless, from the moment of his election, each pontiff experiences an understandable feeling of inadequacy, noticing the disproportion between his personal abilities and the weight of the responsibility to which he is called. Who can say that he is capable of supporting with his own strength the munus [office] of the Vicar of Christ? The Holy Ghost however assists the Pope not only at the time of his election, but until his death, at every moment, even the most difficult of his pontificate. Today the Holy Ghost is often invoked inappropriately, as when it is claimed that He vouches for every act and every word of a Pope or of a Council. These days, however, He is notably absent from the comments in the mainstream media that evaluate the gesture of Benedict XVI according to a purely human criterion, as if the Church were a multinational corporation, directed in terms of sheer efficiency, regardless of any supernatural influence. But the question is this: in two thousand years of history, how many Popes have reigned in good health and have not noticed the decline of their strength and have not suffered from illnesses and moral trials of all sorts? Physical wellbeing has never been a criterion for governing the Church. Will it be from Benedict XVI on? A Catholic cannot help wondering about these questions, and if he does not ask them, these questions will be posed by the facts, for instance in the next conclave, when the choice of Benedict’s successor will inevitably be oriented towards a young cardinal in his prime so that he can be considered equal to the serious mission that awaits him. Unless the heart of the problem is not in these “questions of deep relevance for the life of faith” referred to by the Pope, which may be alluding to the ungovernable situation in which the Church seems be in today.